What's the difference between an Agent, Salesperson, Realtor®, and a Broker? I deal with many clients who are unfamiliar with different aspects of the home buying process including the terms that go with it. Sometimes people say my realtor, or my agent, or whatever. In today's blog, I am going to explain the difference between all of these titles. Agent/Salesperson The terms agent and salesperson are interchangeable. To become a licensed salesperson in Massachusetts, you have to be 18 years of age or older, and you must complete a 24 hour classroom course prior to taking the state exam. If you pass that exam, you become a licensed salesperson in Massachusetts. 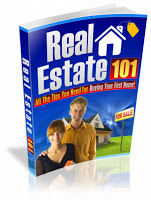 As a salesperson, to practice real estate and be paid commissions, you must work under a real estate broker. There is no actual work experience required to become a salesperson. Realtor® To obtain the title "Realtor®", you must be a member of the National Association of Realtors®. The term Realtor® is a registered mark used to identify it's members who pledge to a strict code of ethics. Technically speaking, it may be incorrect to call someone your Realtor® if they are only a licensed salesperson. Agents and brokers can become Realtors®. Broker Aspiring brokers must first be a licensed salesperson and work under a broker for at least 1 year. Once you have done this, you can apply to become a broker and potentially open your own office. To obtain your brokers license, you must take an additional 30 hour classroom course and pass the states broker exam. Massachusetts also requires all licensed brokers to file a $5,000 bond with The Board of Registration of Real Estate Brokers & Salespeople which costs $50. If you successfully pass the exam, you become a licensed broker in the state of Massachusetts. As a broker, you can work for yourself, or you can continue to work for someone else.